A wide range of Nutsche Filter Bag is provided by us to our customers as per their demands and needs. 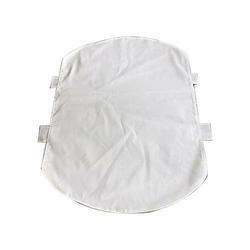 This Nutsche Filter Bag is extensively used in the pharmaceutical and chemical industries. We manufacture this product in compliance with the industrial quality parameters by using high grade material. Assisted by rich industrial experience and immense knowledge, we are able to manufacture Nutsche Filter Bag. With the assistance of skilled and dedicated professionals, we are eminent Manufacturer & Supplier of Nutsche Filter Bag in Gandhinagar, Gujarat, India. We are known in the industry by presenting a wide range of Membrane Nutsche Filter Bag. It is fabricated using premium grade cloth that is being sourced from known and reliable dealers. Capitalizing on our expertise, we offer an extensive gamut of Nutsche Filter Bag to our clients. 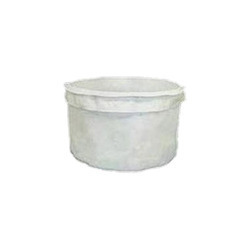 These bags are highly durable and are well-known for their optimum finish. Moreover, these bags are available at competitive prices to our clients and are also defined by international norms & standards.